Create the British Summer all year round with these beautiful Purple Haze teardrop studs carefully hand-made. 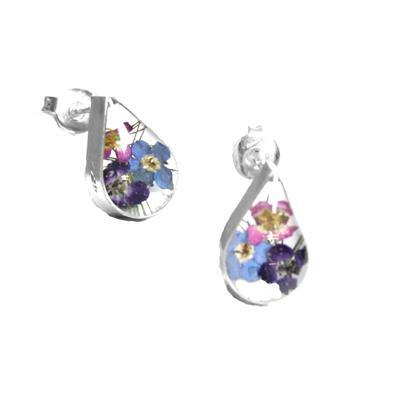 Miniature varieties of flowers are expertly cultivated by master gardeners, briefly dried and then set in Resin and Sterling Silver, to be cherished for years to come. The perfect way to capture a moment of summer.